So Twitter user @historiancole asked the obvious “what happened” question and 24,000 people retweeted her post. “I just googled ‘husky Maryland dog crime’ but I don’t think that’s gonna help me figure it out,” she said in a subsequent response, before adding later that since everyone was looking at the Delaware Valley shelter on Giving Tuesday they could donate to the facility while they’re there. But what did happen? “Unpaid barking tickets,” was the theory offered by one follower. 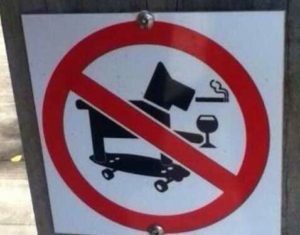 “Obviously broke some rules,” said another, adding a “no bad dogs” image that bans dog smoking and drinking, among other behaviors. The reality probably isn’t that funny, although the shelter hasn’t told the story and no one’s really sure why Jack is no longer welcome in Maryland. His profile says he’s not good with cats, so that may be the answer, in light of people who said they’ve had a similar experience in Florida with a one-bite rule. In that case, aggressive behavior led to an expensive process to keep the dog and a future ban on his residence anywhere in the Sunshine State. Some communities have breed-specific bans, although many of those rules targeting pit bulls or other breeds are being repealed. The Animal Farm Foundation updates a map each month to track the status of such laws. 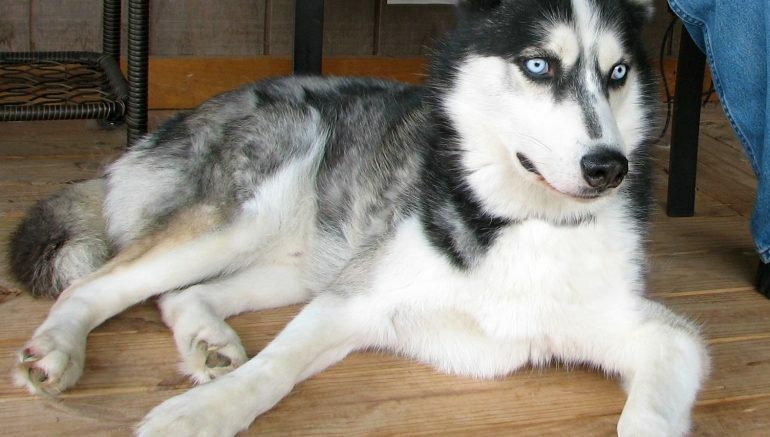 Yet that doesn’t appear to be the problem in the case of adorable Jack the Husky, and hopefully all this attention won’t get him in even more trouble. Brian Koerber at Mashable said he reached out to the shelter by email but hadn’t received a response by Wednesday night, so Jack’s secret remains safe with his Delaware Valley friends. In the meantime, nobody knows Jack.